This week we bring you 6 photos representing some of the best that we’ve found on the web in the last week. Part of what we enjoy about curating these images from far and wide is that they truly are from the far and wide – from the Far East of Korea to the Baltic States region of Lithuania, and points in between. So kick back and take in these scenes. Find something new in their work and open yourself to a new way of seeing! 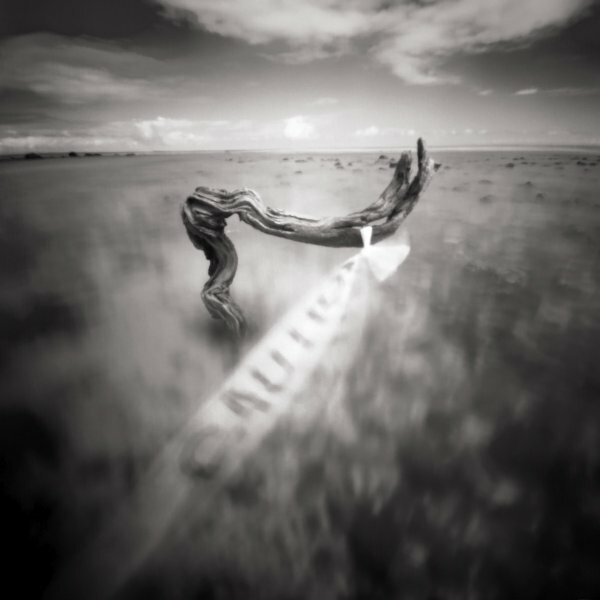 beim “Opfermoor” (ohne Eiche), ©Katja Fleig 2015 Katja Fleig made this wonderful capture of a wispy bog scene in Germany using a Holga WPC loaded with EFKE Aura IR820 film. You can find more of Katia’s work on Flickr. 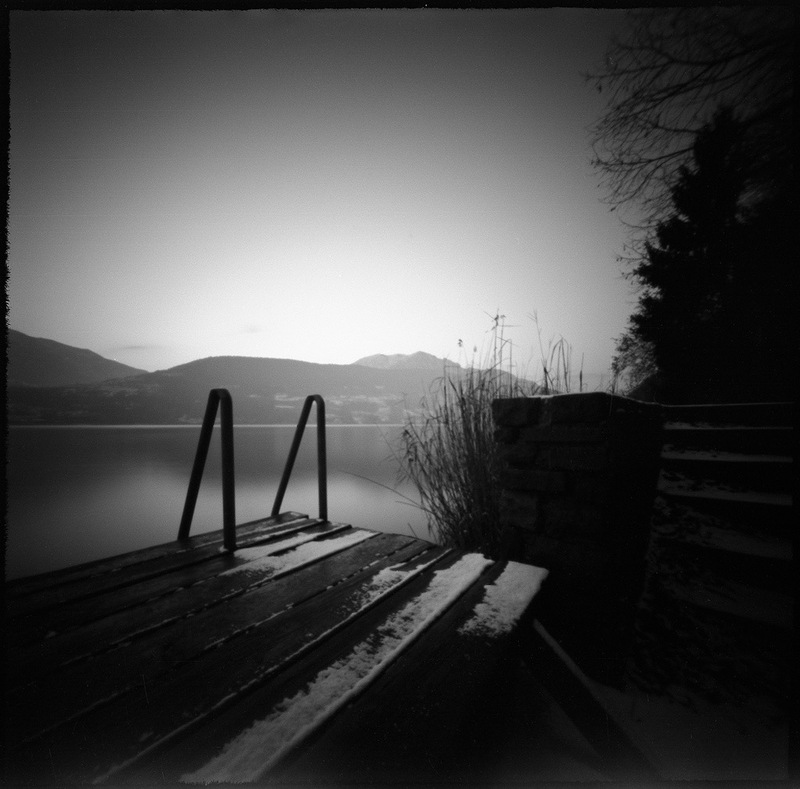 img058, ©Michele Welponer 2015 Michele Welponer is an Italian photographer that captured this serene scene in Trentino, near Caldonazzo lake. Michele used EFKE 25 film in a handmade wooden camera. More of Michele’s work can be found on Flickr, Instagram, and Facebook. 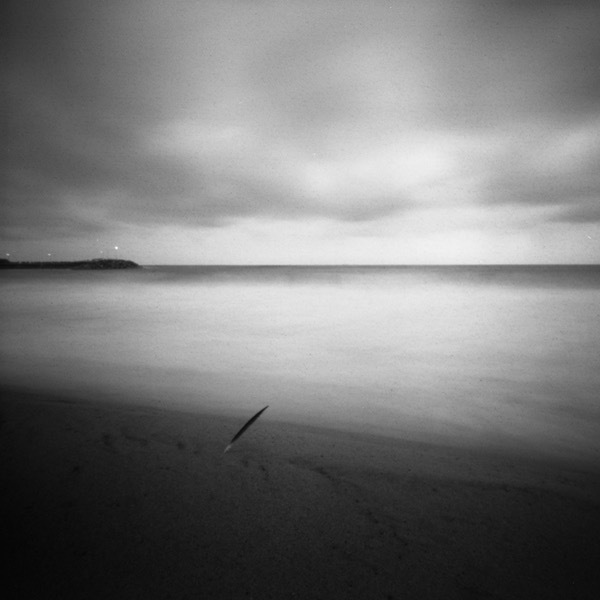 Caution Tape, ©Ross Togashi 2015 Ross Togashi wielded his self-made wooden pinhole camera and Kodak Ektar to make this sweeping photo, part of his series, “Pinholes at High-Tide”. He’s wonderfully conveyed the sense of the tide rushing out at your feet after the wave has receded. You can find more of his work on Flickr. 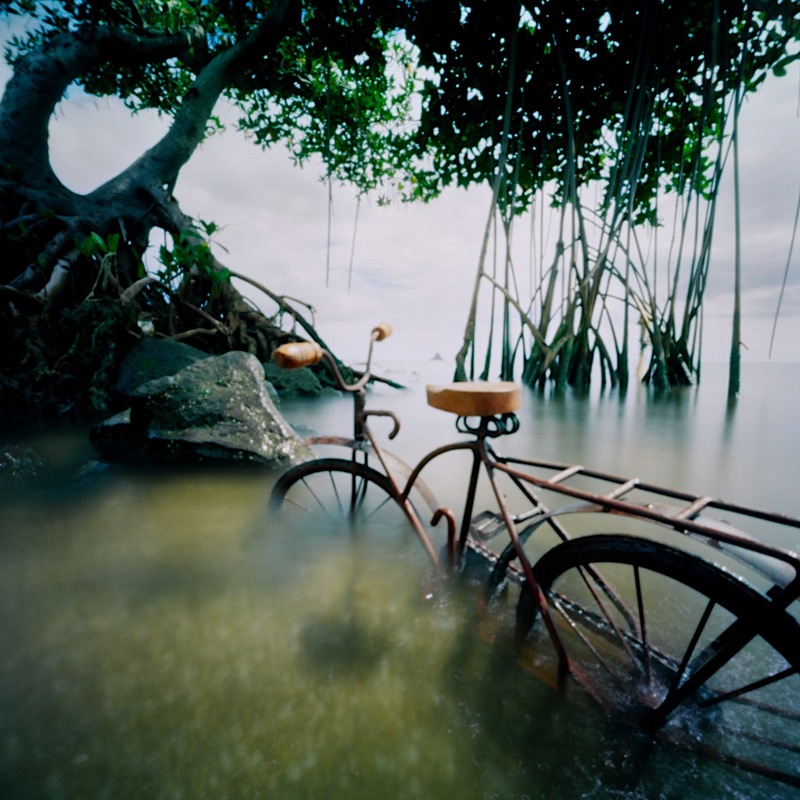 Biking Mangrove, ©Ross Togashi 2015 This is the second photo today from Ross Togashi, this one from his series “Pinholes Makai”. You can feel the heat and humidity, and dream of how this bike arrived in this situation. A Feather, ©James Shin 2015 James Shin made this photo in Ganggoo, Kyongsangbukdo, Korea just after sunset, with an exposure of about 2 minutes, wonderfully capturing the sense of soft darkness at sunset on the shore. You can find more of his work on Flickr, his personal website, or Facebook. He was also interviewed by Parallel Planets. 1+4, ©Arturas Meskauskas 2015 Artūras Meškauskas is a photographer based out of Panevezys, Lithuania, that we’ve featured before, and here again we find ourselves very impressed by his vision. 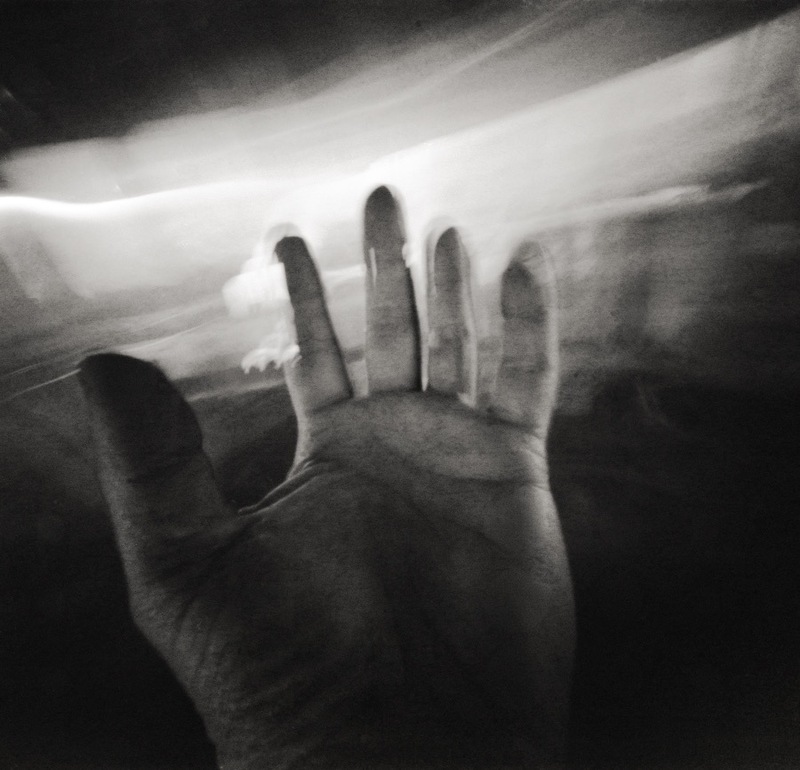 He made this photo of his hand in January 2014 using a MO Pinhole 6×6 with Shanghai GP3 100 film. You can find more of his work on Flickr and Facebook.